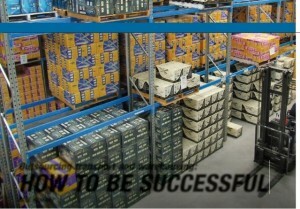 Outsourcing transport and warehousing - How to be Successful? Over the last 10-15 years, outsourcing of logistics activities to third-party logistics service providers has become increasingly popular. Research indicates that up to 75% of firms report positive impacts from outsourcing to logistics service providers (Langley J, Capgemini 2007). But what of the balance? Why have they struggled to obtain the results that they were hoping for? In this article I will outline, firstly, the reasons why organisations outsource logistics activities, and secondly, what the key drivers are for outsourcing success. 1. Warehousing and distribution management is not a ‘core’ skill. Peters and Waterman in their best, seller‘In Search for Excellence’ identify one of the eight factors of organisational success as ‘sticking to the knitting’. They warned that companies that stray from their core business risk their employees attention being diverted from that business to the point where they lose focus. Many enterprises have taken heed and determined that inbound and outbound transport and warehousing are ‘consequential’ processes of their business rather than ‘fundamental’ or ‘core’ processes. 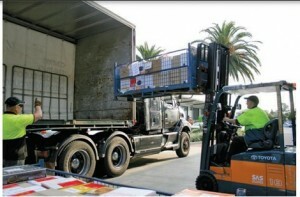 This has fuelled growth of the third-party outsourcing industry and expansion of scores of logistics service providers. While many logistics service providers commenced as transport companies, they have diversified to engage in contract warehousing logistics, freight forwarding plus many other value adding services. On a world scale there are thousands of providers offering third-party services, yet there are only a handful of very large ones with the ability, network, systems and infrastructure needed for multinational customers. Consider the rationalisation of major players over the last five years in Australia alone, e.g. DHL/Exel/Tibbet and Britten, Schenker/ Bax, Toll/Patricks/Brambles/SembCorp/ Finemores, Linfox/Mayne/FCL/Westgate. The choice of which provider to use typically depends on the local and/or international scale of the customers and alignment with the size and geographic spread of the logistics service provider. Related to the ‘core skill’ issue, often organisations that have a strategic focus other than in transport or warehousing, cannot attain the desired performance levels and key performance indicators (KPIs) required by their customers. For example, companies that have their own in-house vehicle fleet often struggle to deliver products on time. For instance, a service ratio of less than 98% of deliveries delivered on time is a major issue for modern consumers as they have become far more demanding. Merely dealing with the complexity of transport networks, contractors, inventories, industrial unions, and cost control is tough enough for many enterprises, so achieving 98% on-time performance is, for some, just a dream. On the warehousing front, checking performance against just a few industry KPIs can quickly help managers determine how effective their operations are. Telling signs are low levels of inventory accuracy, low stock turns, and low order output ratios per labour hour, high levels of unexplainable losses or damage to goods, high operating costs, customer performance complaints, and high employee turnover. When these signs are evident, firms often choose to outsource rather than waste time developing their own remedies. 4. Flexibility and Scalability. With the advent of e-commerce, increasing globalisation and rationalisation of industries, today’s market place demands fast, flexible and efficient supply chains. Coupled with shorter strategic planning horizons, use of logistics service providers gives organisations flexibility to expand or change their method to market and volumes handled with almost immediate effect. Enterprises will typically negotiate one to two year agreements with ‘termination for convenience’ exit clauses in case they wish to change their short to medium term strategy to market. It is simply not possible to respond quickly to market changes if there is a fully owned or leased network of warehouse and transportation assets in place. But what about cost of service? Surprisingly cost of service, although important, is seldom a deciding factor, or driver, for outsourcing decisions. Why? Very rarely do companies save money through merely ‘outsourcing’ warehousing and transport. They may attain savings over a period of time, e.g. 3-5 years, but not simply from the ‘act’ of outsourcing. The reason is elementary. Third-party logistics companies have to pay almost the same operating costs as other organisations (sometimes more). While they do develop purchasing power and discount rates with transport subcontractors and other vendors, there is often little disparity between the costs of a logistics service provider and their would be customers. Why? The provider has to add a margin to their costs to be profitable. In my experience the profit margin can range from 7-15%. This means that if a firm is seeking to bank savings after outsourcing, they may well be disappointed. As a rule of thumb, companies can expect to pay from 5-10% more than current costs for outsourcing. You will recall the four reasons for outsourcing to which cost is subservient. However, cost is a critical factor in judging the value proposition of potential providers who are quoting to do the work, and also in their ultimate appointment. So to be clear, cost is not a reason to outsource, but a means to assist the decision as to whom to outsource to. The outsourcing decision must align with the company’s strategic direction. This is ‘common sense’ statement, but unfortunately not well practiced. Amazingly, many companies have suffered after outsourcing decisions were made at an operational level, without due regard to the board’s supply chain strategy. Alas, in some cases, there is no supply chain strategy to speak of. This can cause organisational stress and is a nightmare to remedy after contracts are established. These days third- party providers are aware that their clients may be deficient in strategy formulation, so they include clauses in contracts which enable them to change pricing and perfor- mance mechanisms if a change in company strategy or method to market occurs. When seeking third-party quotations and contracts, there is no room for intuition, or best-guesses, on order velocities, volumes, processes and service requirements. Very detailed specifications must be prepared by enterprises, with full disclosure of all available data before a quotation from service providers is attained. There is rarely too much information that you can gather. But where there is an absence of sensible interpretation of data, this can cause major issues in the outsourcing relationship. On a number of occasions I have been asked to sort out problems with pricing mechanisms that are based on customer’s cost of goods sold, volume sold or per cent of revenue. On the surface these appear to be simple pricing gauges, but often they force one party, either the customer or logistics service provider, to prosper or lose unfairly. The supply chain interactions of physical movement and electronic information is complex, and overly simple charging mechanisms deserve close scrutiny as they can lead to disputes if one or the other party decides that they are being ripped off. Both during implementation and the ongoing partnership a competent team is essential. Both the customer and the third-party logistics company must create an open and trusting working relationship. Each company’s team should include senior relationship managers from across the organisations, who meet regularly to discuss and monitor progress and performance. Too often, once an agreement is signed, implementation is left under the stewardship of the logistics service provider. This is a mistake. It must be a joint exercise. The best implementations are those that have a key member of the customer on the team to lead, organise and develop the solution to full implementation with the provider. Such implementations are usually augmented by robust project management methods to ensure that all milestones are achieved. From my experience issues that are not dealt with proactively and in good time can fester into ‘relationship breakers’ and end in disaster. So both parties should take a long-term perspective and be mature in their outlook and approach, always avoiding disrespectful behaviour to the other party. It never helps if one party is kicking the other. During implementation planning phases representatives from each company should meet weekly to discuss implementation tasks. Some may argue that this is too often, but in my experience the regularity maintains momentum and full attention to successful outcomes. Whether you are an organisation seeking to outsource, or a third-party logistics provider, by following these tips you will be equipped to enter to an outsourcing agreement that is ‘fertile for growth’ and well placed to build into a mature and successful partnership. Mal Walker is manager, consulting with the Logistics Bureau, where he works with local and international organisations to guide them in specification preparation, establishment and review of outsourcing contracts. He is a life member of the Logistics Association of Australia, member of Council of Supply Chain Management Professionals and a director of Smart Conferences. He holds qualifications in engineering, business operations and logistics.